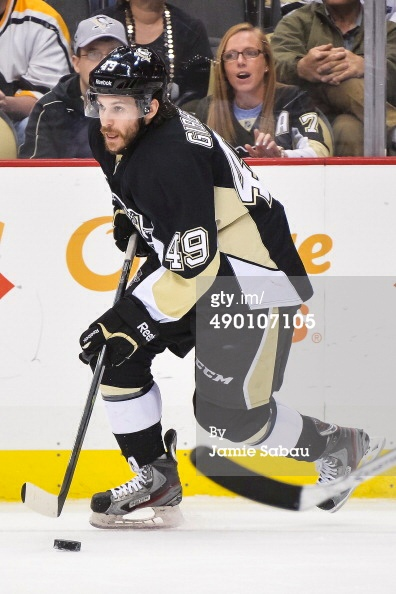 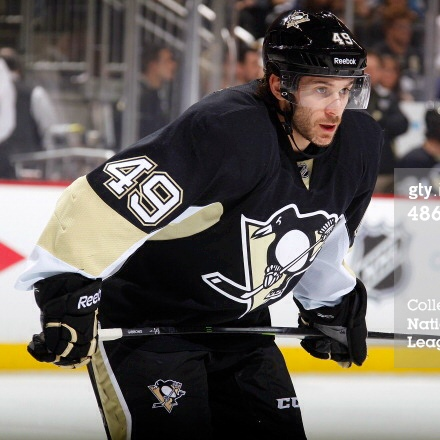 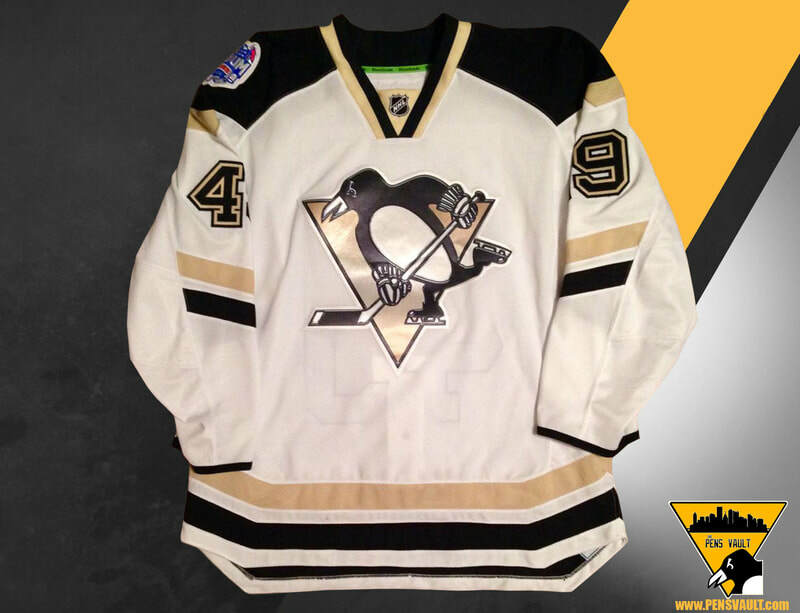 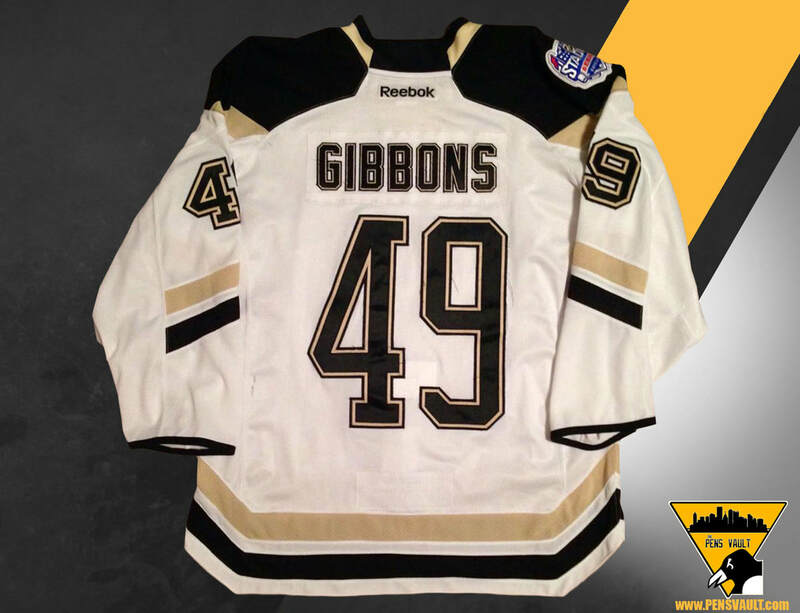 Brian Gibbons got his first taste of Stanley Cup playoff action wearing this jersey. 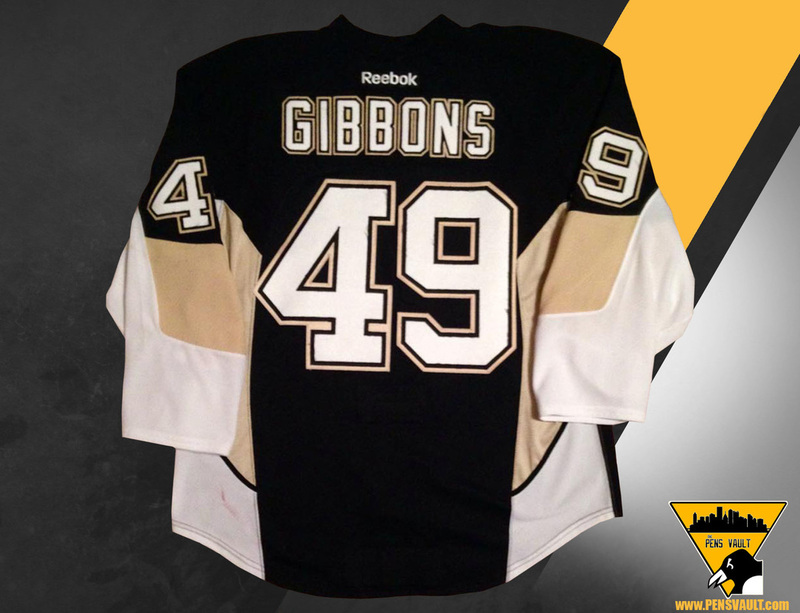 On April 20th, Gibbons scored the first two playoff goals of his career 54 seconds apart. 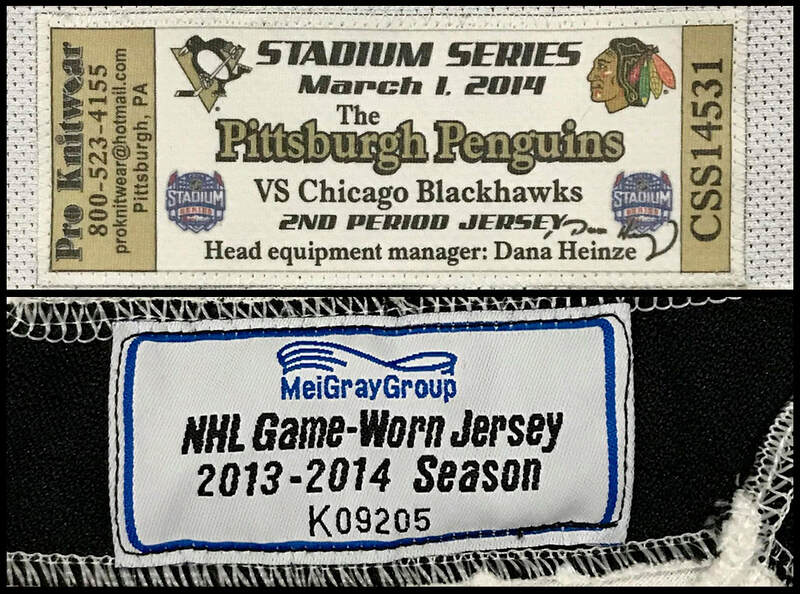 Including a nifty short-handed breakaway goal in which he undressed Sergei Bobrovsky of the Columbus Blue Jackets, to give the Penguins a 2-0 lead before the game was 5 minutes old. On March 1st 2014, the Chicago Blackhawks hosted the Pittsburgh Penguins at Soldier Field,wrapping up the 2014 Stadium Series outdoor games. 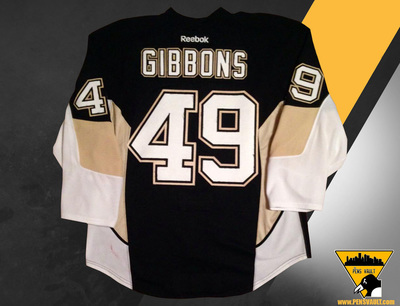 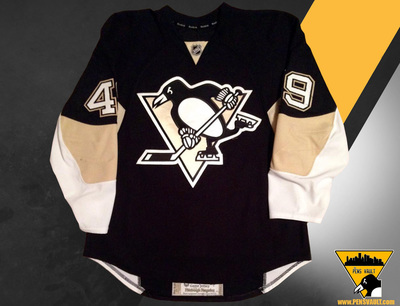 Gibbons wore this jersey during 2nd period action. 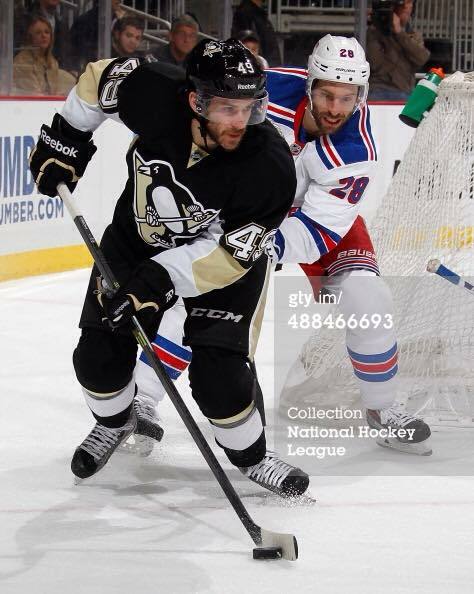 He was held without a point, and finished the game a minus -1, while logging 10 minutes and 21 seconds of ice time. Despite the heavy snowfall and frigid temperatures, the Blackhawks would skate to a 5-1 victory over the Pens.